As I stepped inside the layout of the restaurant, dining and bar area had been transformed to what I, as a blogger, would call "Instagrammable", I didn't even recognise the space, it left me rather speechless in a good way which never happens to me! I was automatically drawn to the tiled floor and marble bar area and I couldn't get over how much fresher and brighter the interiors were in comparison to how they were before. 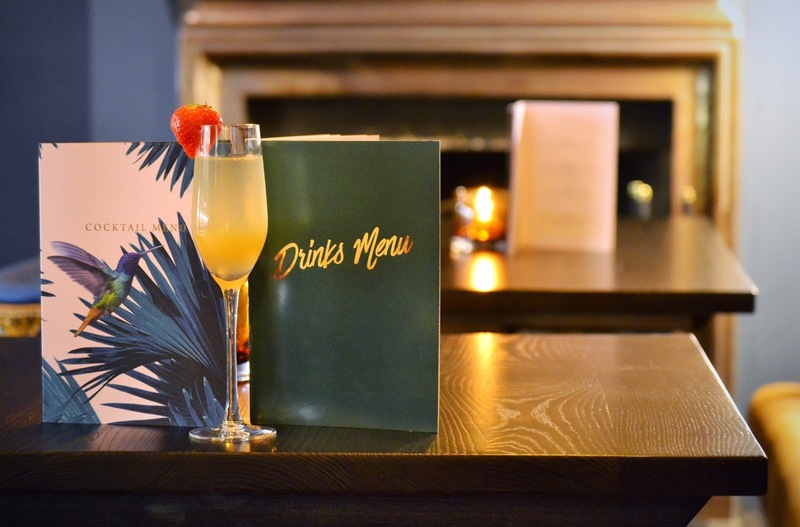 They had also thought about the finishing touches for the evening with a local singer, singing acoustic versions of popular songs, candles on all tables and a gin infusion station with plenty of fruit to choose from. They were also a few more tables and chairs than before which means more chances of getting a seat when it gets super busy close to the weekend. These were a mixture of high and low stools plus comfy chairs and sofas depending whether you're dining or just there for drinks. The sophisticated seating was dressed in shades of mustard, navy and dusty blue plus patterns as well to mix things up a bit. 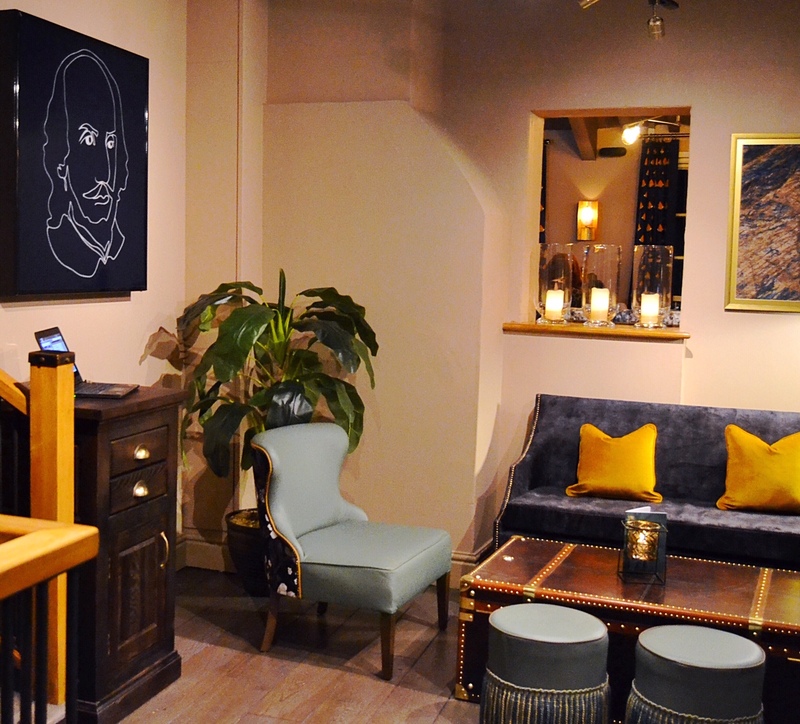 Contrasting velvet cushions were also placed on chairs for extra comfort. 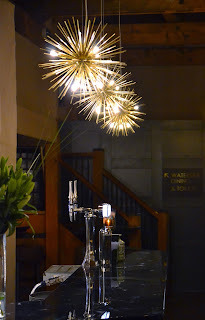 To create a flattering ambient glow they had incorporated a mixture of modern lighting upstairs and downstairs some seamlessly hanging over seating which created a level of intimacy and some lighting adding to the glam factor to the restaurant and bar. 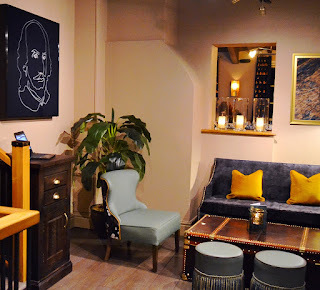 I also loved the unusual artwork scattered on the walls including hints of Shakespeare himself. 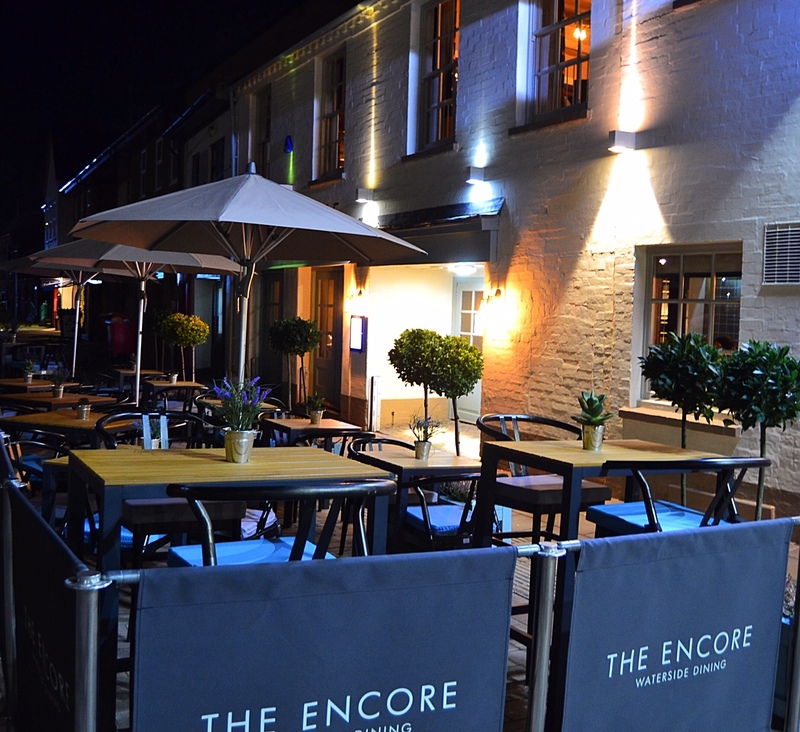 The Encore also has a lovely outdoor seating area which attracts a lot of people in the summer months meaning you can choose to dine indoors or outdoors at The Encore. This had also been revamped with new tables, chairs and lighting to enhance the mood. 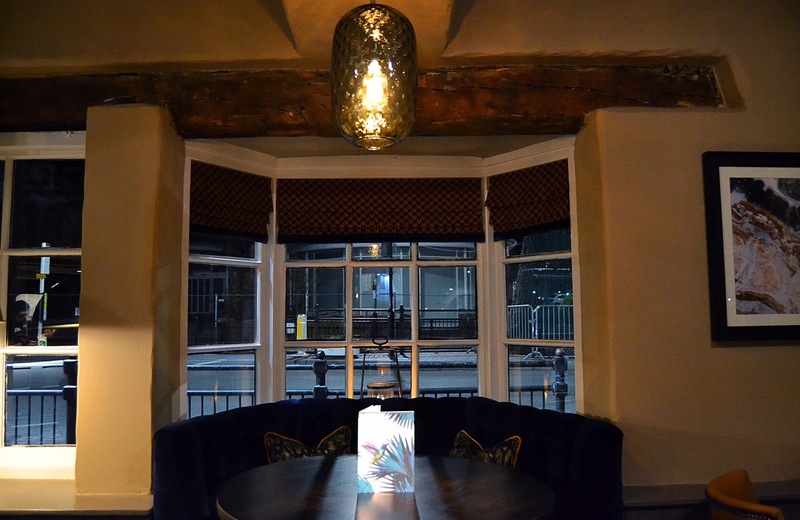 There is also a room upstairs and downstairs making it ideal for corporate gatherings or family and friends to get together for special occasions, the room we saw upstairs was currently dressed for Christmas. As soon as we arrived we were presented with one of The Encore's beautifully designed new drinks menu which include lots of gin & tonics including a section of the bar just for this, wines, prosecco, craft beers, ciders and cocktails which are 2 for £10 in the week 12-7pm. For my first drink I chose a peach bellini as it's one of my faves and Blake was able to have gluten free beer called Asahi. I also had a glass of prosecco and a white peach gin cocktail with dinner and we shared a candy floss martini as we had never seen one before, you pour it into the candy floss and it instantly melts. Delicious but very sweet! Once we came upstairs, we were given the choice of where we wanted to sit which I always like and then once seated we were offered more drinks and given the food menu. 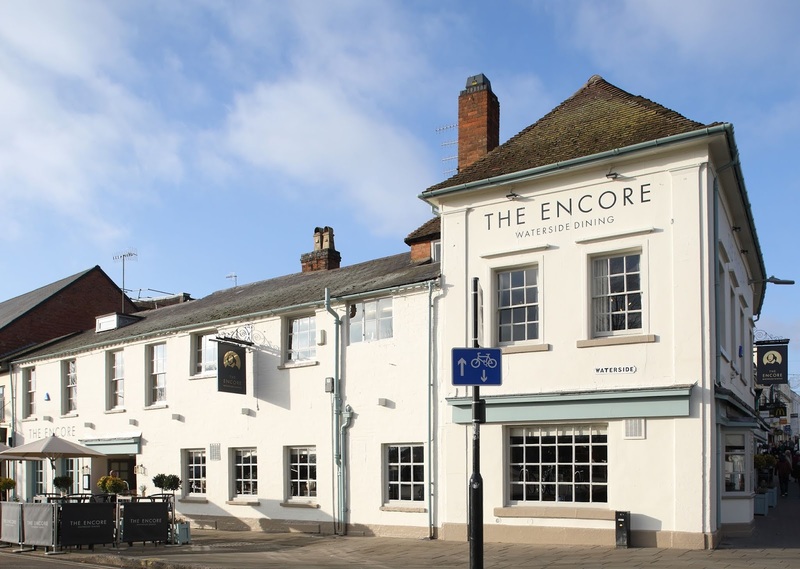 Anyone who knows me knows I'm not a fussy eater and it wouldn't matter if you were at The Encore as there was so much choice for starters, mains and desserts plus an endless drinks list. If you have any allergies or dietery requirements like vegetarian or vegan the encore is the perfect restaurant in Stratford Upon Avon for you! My boyfriend is coeliac so we made them aware of this before we visited and they created spacial canapes just for him and gluten free bread! The waitress also came over with an allergies book just in case. They also have a stand alone vegan menu which can be a rare thing to find in Stratford Upon Avon. 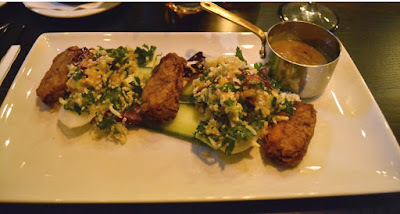 For starters I chose the crispy karagge chicken which came dressed with cucumber ribbons, mooli, kale & cauliflower couscous salad and warm katsu sauce. The chicken for me was so tender and the katsu sauce was really tasty. 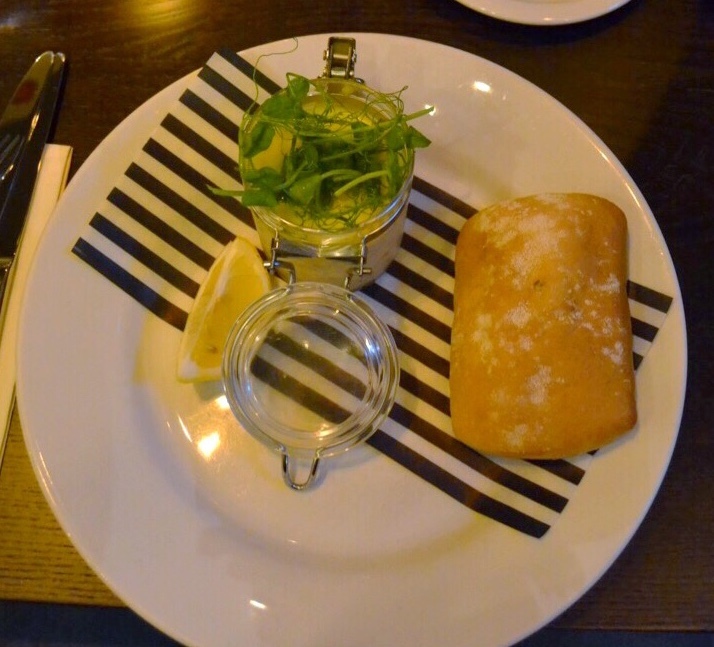 Blake chose the lobster and king prawn pot which also came with gluten free bread. 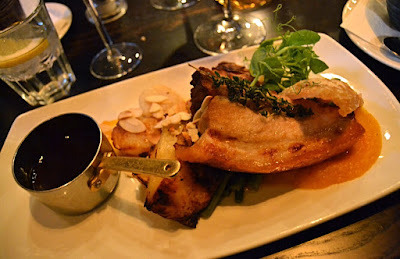 For main meal I picked out the roasted pork belly and seared scallops because not only is it a great combination of foods but it came with crackling! Plus potato dauphinoise, butternut squash purée, green beans, toasted almonds, and red wine jus. I also ordered a side of mac & cheese to try as it's literally one of my favourite foods at the moment. This whole meal was delicious and the perfect sized portion. 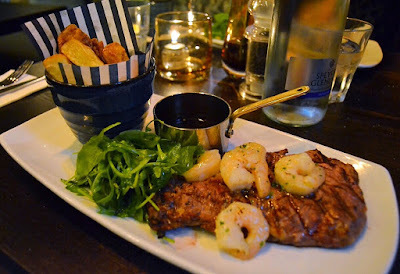 Blake chose one of his favourite foods the 9oz rib-eye steak which came with prawns, twice-cooked chunky chips, crispy onions, grilled mushroom, confit tomato and baby kale. He let me have a taste and I can confirm it was perfectly cooked! I'm not sure how I managed to fit in a dessert but I did and I had to try one of my all time favourites cheesecake! 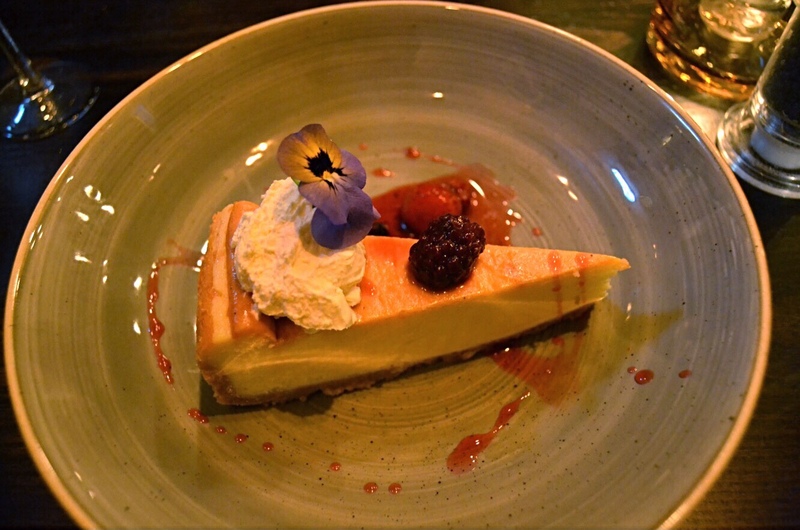 The New York baked vanilla cheesecake looked picture perfect and came decorated with a forest fruit compote and whipped cream. 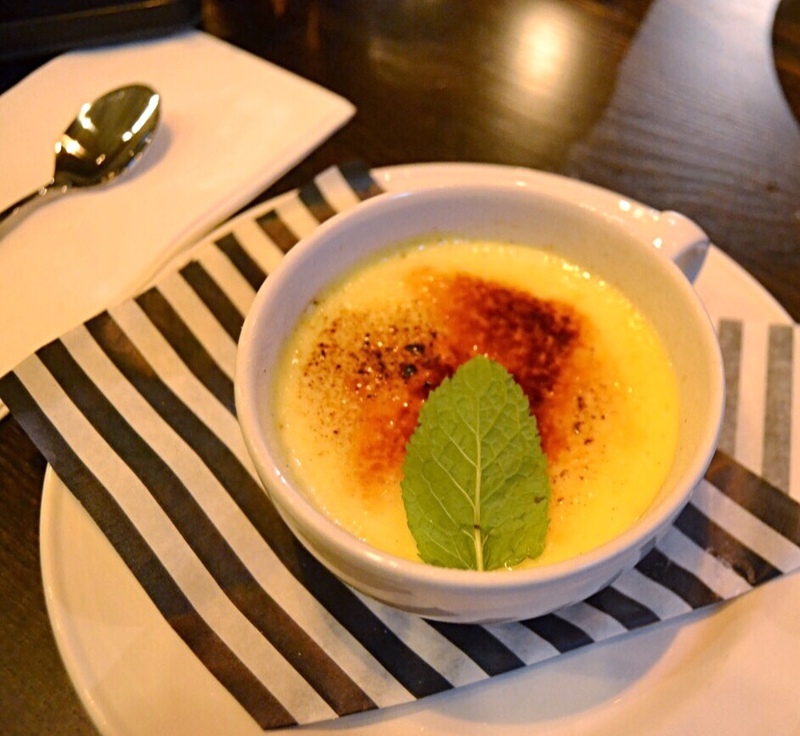 With limited options being coeliac, Blake opted for the vanilla creme brulee which he enjoyed. Overall we had a lovely date night at The Encore, staff were so attentive and food and drink was of the highest standards. 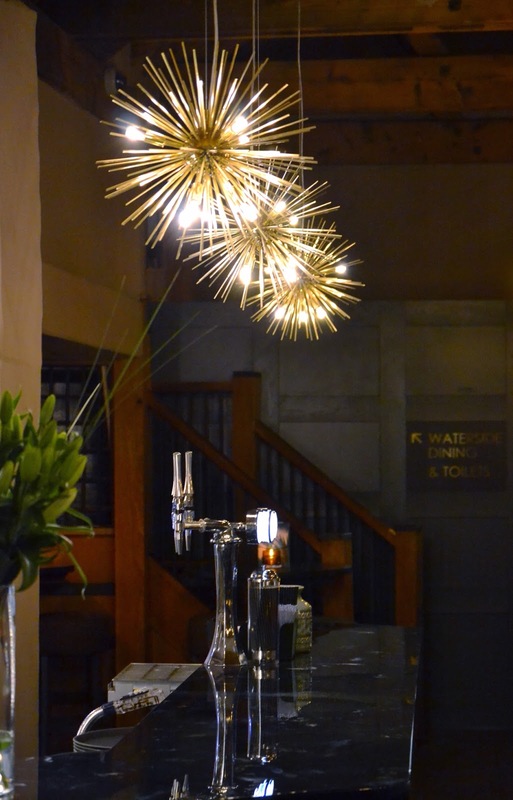 We can't wait to come back to our brand new local pub in Stratford Upon Avon. Oh how gorgeous! We love Stratford and try to visit every couple of years. I will definitely consider this for our next stay! This looks gorgeous - both the restaurant and the food! That sounds like the perfect evening out. 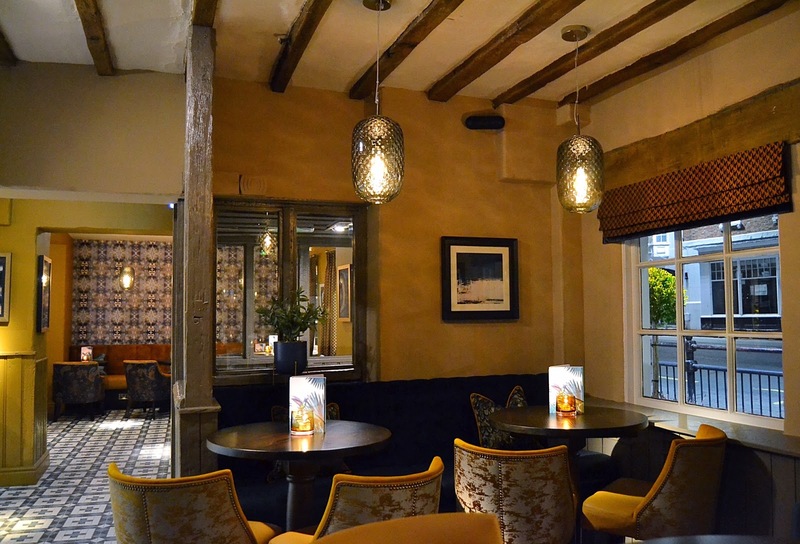 The food all looks delicious, the decor is fabulous and it is great that they are so accommodating to different dietary requirements, often a rarity I've found! This food looks delcious. It looks like an awesome place to stay at.